The semi-truck accident attorneys at the Wolfson Law Firm are committed to a complete investigation of any semi-truck accident involving one of their clients. These accidents can happen in Miami, Broward, Palm Beach, Monroe County or anywhere in Florida. It is important to follow the evidence and to ensure that every aspect of the semi-truck accident is thoroughly and professionally examined. As you attempt to find the best semi-truck accident lawyer for your case there are a few things to keep in mind. First is you want to make sure that your truck accident attorney has the experience necessary to pursue your case against the trucking company and its insurance companies. Second, you will want to be certain that your trucking accident lawyer and law firm have the financial wherewithal to finance what is likely to be an expensive investigation. Third, you want to know that the Florida semi-truck accident attorney you select has the will to prepare your case to bring it to a satisfactory conclusion. At the Wolfson Law Firm, our Miami truck accident attorneys have represented trucking accident victims for over 50 years. We understand and embrace what has to be done and we are here to assist you. Our managing trial attorney, Jonah Wolfson, is a bilingual trucking accident attorney in Miami. Call us for your absolutely free consultation at (305) 285-1115 or toll-free at (855) 982-2067. 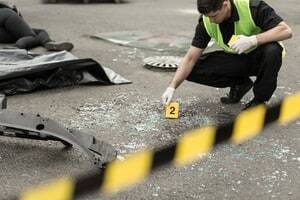 A significant part of any semi truck accident investigation will include preservation of evidence letter sent to the owner and operator of the semi-truck. Simply put, this letter demands that the owner and operator maintain the evidence requested. It also includes a demand that evidence not be altered or lost. The failure of the owner operator to comply with the preservation of evidence letter can result in significant sanctions and other legal ramifications. Our Miami trucking accident attorneys serve the people of South Florida as well as anyone injured in a truck crash from Miami-Dade County, Martin County, Broward County, Monroe County, Palm Beach County, Collier County, Hialeah, Medley, Homestead, Fort Pierce, Port Everglades, Port St. Lucie, Florida City, Homestead, Port of Miami, Orange County, Port of Palm Beach, Fort Lauderdale, Miami International Airport, West Palm Beach, Tampa, Orlando and Jacksonville. Call to speak with a Miami truck accident lawyer for free at (305) 285-1115 or toll-free at (855) 982-2067.